When it comes to identifying antique furniture, there are certain characteristics of style and methods of construction that help in distinguishing original pieces from reproductions and fakes. 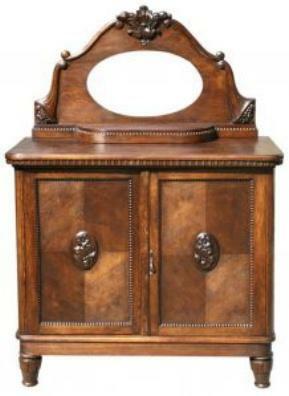 The identification of antique furniture is a subject that covers a very broad area. It is also a subject that can seem overwhelming and confusing to someone with a new interest in antique furniture. However, learning a few basic tips and tricks used by experienced antique collectors and dealers will give even a novice collector the general knowledge needed to identify a piece of antique furniture. There are several things to look for when examining a piece of furniture that help to identify it as an antique. Check for a signature or label from the furniture maker. Make sure the piece is in proportion. For example, if the legs of the piece seem to be the wrong size or the top of the piece is out of balance with the lower portion, it is possible the furniture is a marriage. A furniture marriage occurs when two pieces, or sections, of furniture are joined together and the two are not originally from the same piece. Check the construction of the joints. In the 1700s glue was used on dovetailed joints. These types of joints became more refined throughout the 1700s and the first half of the 1800s. In the late 1800s a machine-made dovetail joint was perfected completely replacing the Knapp joint by 1900. The wood for furniture pieces was hand sawn until the beginning of the 1800s. Visible saw marks up to that time will be straight. After that most wood was cut with a circular saw and any saw marks will be circular. The following websites are excellent resources. Common Sense Antiques by Fred Taylor, author of How to be a Furniture Detective and the video Identification of Older and Antique Furniture, provides a comprehensive article on furniture joints. It is also important to become familiar with the furniture styles of the different periods and eras. Although this may seem like a lot, all you need is an overview of the main characteristics and features of the period or style.There are many excellent antique furniture identification and price guides that provide valuable information on furniture periods, styles and eras. Many of these books specialize in a specific era, such as Victorian furniture. Some focus on a specific type of antique, such as antique chairs, while others provide a general overview of furniture from various periods or styles. Knowing the basic techniques used in identifying antique furniture is an important skill for anyone with an interest in buying, selling or restoring pieces of furniture from years past.